VANCOUVER — A crowd of about 30 people squeezed inside a Vancouver Housing Authority meeting room Tuesday night, March 7, to discuss a proposal to relax regulations on “mother-in-law apartments” inside Vancouver city limits. Vancouver Community and Economic Development Planner Bryan Snodgrass said some things will remain the same when it comes to accessory dwelling units (ADUs) allowed in the city: the small housing units will still be required to have both a kitchen and a bathroom, meet all required property setbacks, have a dedicated off-street parking space for residents, and be a permanent structure without wheels. “You can’t roll a tiny house in and call it an ADU,” Snodgrass said Tuesday. But that doesn’t mean ADUs don’t come in all shapes and sizes. Vancouver Community Development Programs Manager Peggy Sheehan says city leaders want to see the ADUs become a part of residential neighborhoods, create more housing options in Vancouver’s increasingly tight rental market and not become a source of contention for neighbors living near the ADUs. On Tuesday night, Sheehan said the city has learned a few lessons from nearby Portland, where city leaders’ efforts to increase the number of ADUs in residential neighborhoods as a balm for the region’s housing crisis has somewhat backfired as property owners use the ADUs for temporary, short-term Airbnb units instead of long-time, more affordable housing options for Portlanders who cannot afford market rates on larger houses or apartments. “We’ve heard good and bad,” Sheehan said about Portland’s ADU rental market, adding that tighter restrictions on Airbnb-type rentals inside Vancouver would hopefully prevent a similar scenario in Clark County’s largest city. Vancouver has allowed ADUs with conditions since 2000, but the program has not been overwhelmingly popular with city property owners. To date, Snodgrass said Tuesday, the city has processed only 65 permits for ADUs within Vancouver city limits. 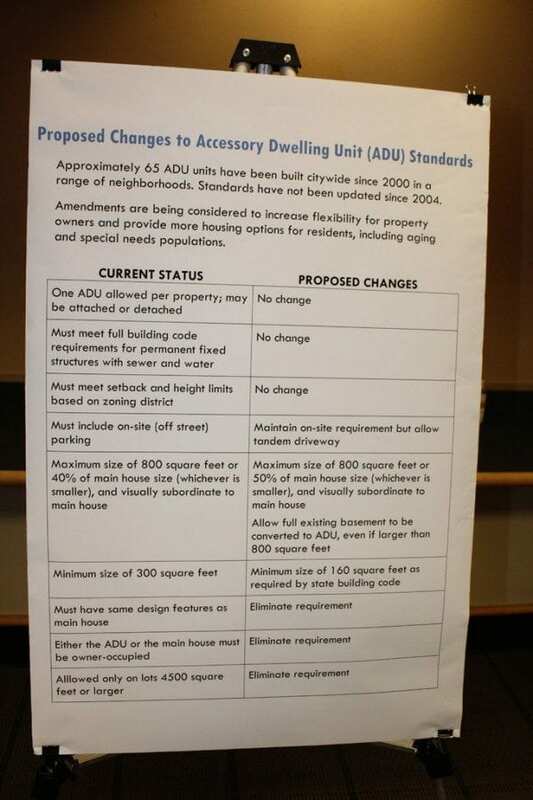 Adjustments to size restrictions: Instead of requiring ADUs to be no larger than 40 percent the size of the main house, the city would increase this number to 50 percent the main home’s size but no larger than 800 square feet. For example: If the current owner of a 1,000-square-foot home wanted to build an ADU on their property, they would be allowed to build a 400-square-foot unit. New standards would increase the allowable ADU size to 500-square-feet for the owner of a 1,000-square-foot home. Likewise, the proposed changes would allow for ADUs smaller than 300 square feet, as long as they still met state building code requirements for residential units. Loosen size restrictions for basement ADUs: Under the proposed standards, ADUs that were contained within a home’s basement would not be subject to the 800-square-feet maximum rule. Less restrictions on elevations limits: Proposed changes would allow ADUs in back or side yards to have a visible front elevation of 50 percent that of the main home instead of the current 40-percent elevation limit. Relax design standards: Currently, the city of Vancouver requires that all ADUs match the design of the main home. Proposed changes would eliminate this requirement. Eliminate lot size requirements: Proposed changes would allow ADUs on lots smaller than 4,500 square feet. Remove owner-occupied requirement: Proposed changes would not require owners to live in the property and would allow both the main house and the ADU to be rental units. 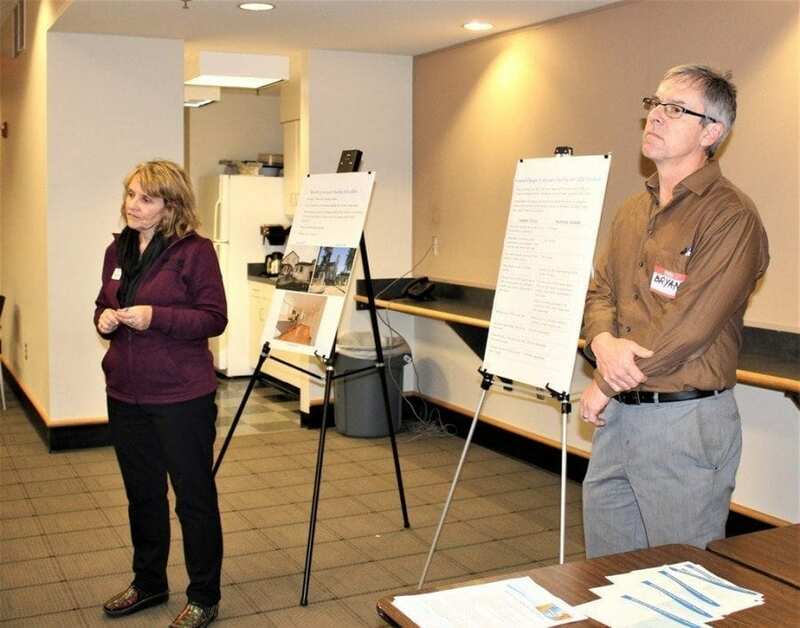 Both Sheehan and Snodgrass were on hand Tuesday evening to present an overview on the city’s proposed changes to ADU standards, but spent most of the 90-minute open house taking and answering questions from the public. Many in the audience had come for their own personal interest in building an ADU — also known as a mother-in-law apartment or granny flat — on their private property, while other represented their neighborhood associations or were interested in developing ADUs as a means of affordable housing for people who could no longer afford market rates in Vancouver’s increasingly popular rental market. Chris Dickinsen was there on behalf of Vancouver’s Carter Park Neighborhood Association, and said many of her neighbors were concerned about the proposal to eliminate the design standards requiring that ADUs match the look of the main home. “We’re concerned with ultra modern (ADUs) in the historic district,” Dickinsen said. And while there were some questions about the reasoning behind the new proposals, many at the March 7 open house seemed to think the changes were a positive thing for the city of Vancouver. Kevin Fitzgearld told city staff that he had been working on his ADU plans for some time, and had gone to the city to discuss these types of issues in the past. Adding that he knows several people who have been lucky enough to find work again in the Vancouver market, who still cannot afford the city’s high rental rates, Fitzgearld said he hoped to build ADUs for lower-income individuals and families, possibly working with a nonprofit like Vancouver’s Share House to find renters in need of alternative types of affordable housing. Snodgrass said the public still has several opportunities to add their input into the discussion about ADUs in Vancouver. 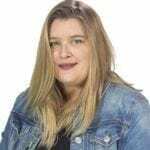 The open house, he explained, was just the first step in a process that still needs to go before the Vancouver Planning Commission and the Vancouver City Council. If you’re interested in finding out more on ADUs in general, visit www.accessorydwellings.org, a site created by three Portlanders with backgrounds in affordable housing, environmental planning and housing issues. For more information on the city of Vancouver’s proposed changes to the ADU standards, click here. The Vancouver Planning Commission will hold a public hearing on the proposed changes at 6 p.m., Tue., April 11 at Vancouver City Hall, 415 W. 6th St., with the Vancouver City Council likely taking on the issue in early to mid-May.